What 40K gaming table is complete with out craters, rubble and trenches. 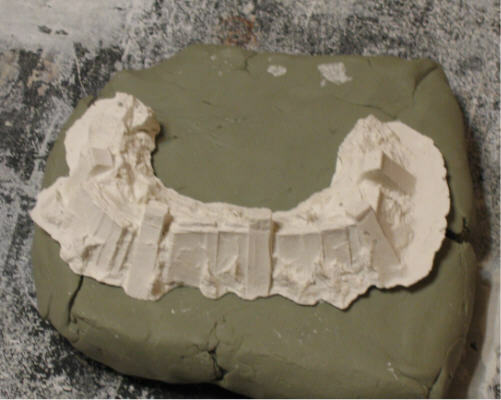 A fast solution is to make a fast and dirty (pardon the pun) mold from clay and cast the mold in plaster. 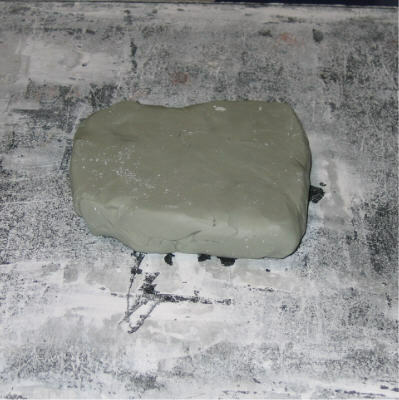 Clay – an oil or synthetic based art clay. Softer the better. I found a block at my local art store for about $8.00. 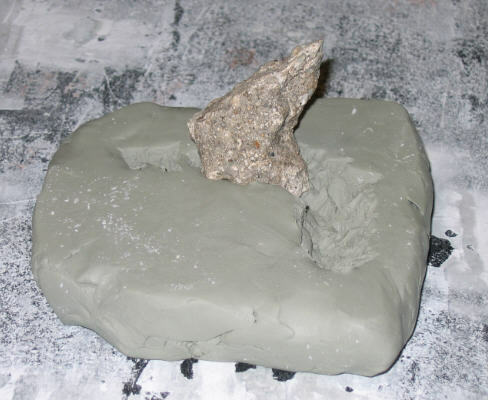 Rock – a sturdy piece of textured rock aka concrete to use as the main digging tool. Assorted cast off pieces – Flat strips, squad bass wood stripping, textured plastic -any thing that can add a bit of distinction from the rock texture. Flatten the clay into a rough square 4 inches by 4 inches by 1 inch thick. Right out of the package, the clay can be hard to work with. Spend some time kneading it like bread to get a softer consistency. Dig into the clay with the rock or other primary sculpting tool. Rough out the basic structure of the mold. In this example, I’m aiming for a ‘C’ like hole to serve as a dug in, fox hold like, position. The mold cavity is now about 4 inches long and 2 inches wide. After opening the initial hole with the rock, I used a flat tile to make like concrete panels with re-enforced beams created with a 1/4 inch square of bass wood. Cast plaster into the mold cavity. Once the plaster sets, demold the product & check out your handy work. After a day or two, clean off the excess plaster and sand the bottom to get a flat base. 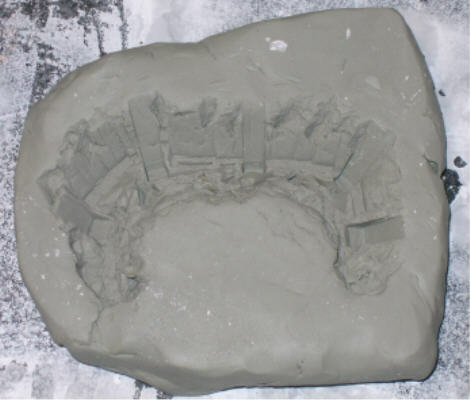 Depending on how gentle you were demolding the plaster, you may be able to get a second or third cast out of the same mold. The clay is re-usable, go ahead and fashion a new obstacle & cast again! Glue the cast to a small sheet of MDF or an old CD. Flock and paint to match the rest of the table. 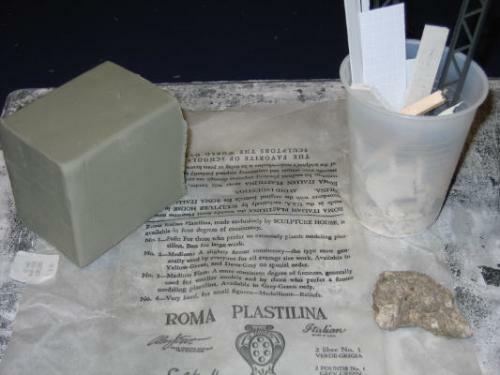 Use the cast as a master in an RTV mold. Switch to resin as the material of choice & cast up a whole battle field of terrain. Idea number two. GW is coming out with a large battles book. Released with the codex is expected to be the long awaited Bane Blade, and (if rumor is to be believed) war machine scale demon engines. Home brewed demon engines is a great kit idea. Design a big grinning mouth around a huge cannon & your half way to a design that is IP infringement free. On top of that, the organic look is both forgiving to a beginner green stuff sculptor and easy to cast/mold.